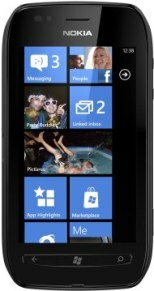 The Nokia Lumia 710 works on Windows platform and has windows phone 7.5 mango operating system. 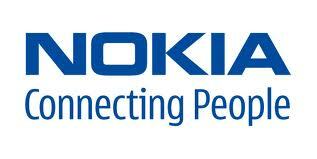 The Nokia Lumia 710 is power by 1.4 GHz processor and 512 MB of RAM. The Windows 7.5 mango operating system runs perfectly fine on this device. The Nokia Lumia 710 has a 5 megapixels main camera with LED flash light that gives perfect resolution to pictures but Nokia has left their trend leaving Carl Zeiss lens from it. The Audio quality of Lumia 710 is clean and clear. But when on loudspeaker mode, the voice is clear but sounds thick. With access to almost all music formats it has media player supporting both audio and video hub. Lumia 710 provides only 8GB of inbuilt memory with no micro SD card slot. So, one will have to be satisfied with this limited space. The Nokia Lumia 710 offers one 1300 mAh BP – 3L battery which works just OK with the phone, but thanks to the 512 MB RAM which gives this phone smart Talk Time and Stand By Time. The Talk time on 2G is 6.9 hours and 7.3 on 3G, whereas the Stand By time is almost same to around 400 hours both on 2G and 3G.